Our flagship range, Triple R premium grade engine oils have been developed to maximise engine performance. Triple R low ash / low SAPS engine oils are formulated to meet and exceed the most stringent requirements of car manufacturers and are suitable for engines operating under extended service regimes. Triple R Fully synthetic engine oils offer increased engine protection and longer engine life, reduced friction, better lubrication during extreme cold weather starts and increased MPG. Triple R Semi-synthetic engine oils are designed to balance the performance, quality and durability benefits of fully synthetic oils and mineral oils. The new Triple R ECO-flo is a range of ultra-low viscosity engine oils which ensure the engine has rapid circulation around the key engine components from cold start-up; as well as offering protection from wear at high temperature, long distance driving. 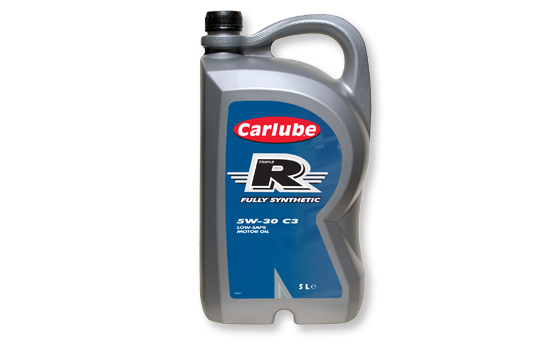 Carlube Triple R 0W-30 is a fully synthetic engine oil designed for engine protection whilst maintaining the efficiency of emission systems, for both petrol and diesel engines requiring the Peugeot Citroën B71 2312 specification. One of the key benefits of Carlube Triple R 0W-30 is that it meets the PSA Peugeot Citroën B71 2312 specification, which has been specially developed to sustain the most severe operating conditions along with modern after treatment system compatibility. This specification also requires improved cold flow properties to reduce hydrodynamic friction of the oil, in order to obtain fuel economy benefits especially when the oil is cold. Carlube Triple R 0W-30 is a top tier lower SAPS engine oil (low in Sulphated Ash, Phosphorus and Sulphur), meeting the latest European emission standards. Designed to reduce particulate build up to protect the after treatment system throughout the lifetime of the vehicle. 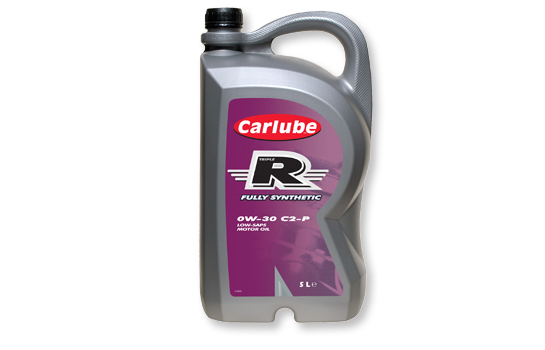 Carlube Triple R 5W-30 Longlife C3 is a fully synthetic, Mid SAPS engine oil formulated to provide optimum durability for the latest generation of petrol and diesel engines. Especially suitable for vehicles fitted with after treatment devices such as Diesel Particulate Filters (DPF), Exhaust Gas Recirculation (EGR) or Selective Catalyst Reduction (SCR) systems Carlube. Triple R 5W-30 Longlife C3 delivers optimum engine durability with excellent flow properties, which reduces wear due to faster lubrication to key engine parts. It also provides over 60% more wear protection compared to the ACEA C3 test limits, maximising engine life and performance. 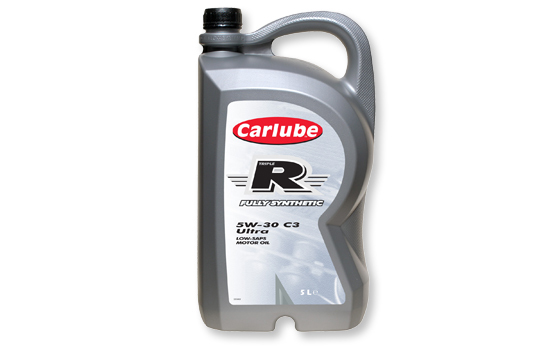 Customers using Carlube Triple R 5W-30 Longlife C3 will benefit from all-round protection and performance for the engine and after treatment devices, as well as providing fuel savings. Carlube Triple R 5W-30 Longlife VW is a fully synthetic, lower SAPS engine oil designed to deliver advanced performance for the latest generation of petrol and diesel engines for VW group vehicles on extended drain service regimes. 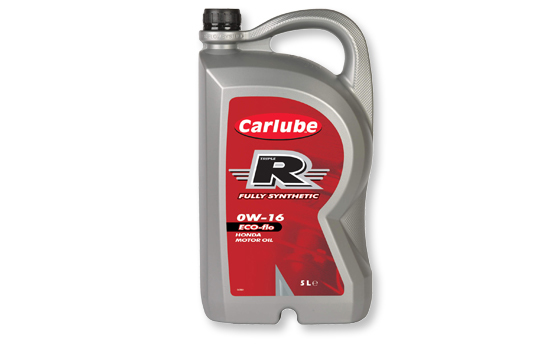 Carlube Triple R 5W-30 Longlife VW has been formulated to meet and exceed the VW 504.00 / 507.00 specifications, which are considered as the highest performing engine oil issued by the Volkswagen Group (VW, Audi, Seat and Skoda cars and vans). Engine oils meeting this specification demand a number of attributes including outstanding durability performance, compatibility with exhaust after treatment systems and outstanding engine cleanliness and wear protection. In a test program Carlube Triple R 5W-30 Longlife VW delivered over 80% more cam wear protection when compared to the VW 504.00 / 507.00 test limits. Carlube Triple R 0W-20 ECOflo is a fully synthetic engine oil formulated to improve fuel efficiency and provide enhanced engine and catalyst protection for modern engines requiring a low viscosity engine oil. Carlube Triple R 0W-20 ECOflo has been developed with an array of distinct additives to maintain full vehicle performance, resulting in longer vehicle life. Some traditional oils contain higher levels of zinc and Carlube Triple R 0W-20 ECOflo, improves catalyst durability as it contains less phosphorous, therefore reducing catalyst poisoning by keeping the catalysts clean and working for longer. Another key benefit to the vehicle owner is that this technology assists in converting harmful and polluting particles into less harmful emissions and therefore protects the environment. Carlube Triple R 5W-20 ECOflo is a fully synthetic engine oil specially formulated for the Ford Eco-Boost engine, helping to improve fuel economy as well as to reduce friction and wear providing increased protection from cold start to high temperature driving. As a lighter viscosity engine oil, Carlube Triple R 5W-20 ECOflo provides faster flow to engine parts even at low temperatures due to its extreme fluidity. This will result in reduced metal to metal contact and continuous oil flow around the engine. Carlube Triple R 5W-20 ECOflo meets the Ford M2C948-B specification, which is primarily designed for the 1.0 litre, 3-cylinder Eco-Boost engine, however also offers backwards compatibility. Carlube Triple R 0W-16 ECOflo is a fully synthetic, engine oil designed to deliver advanced durability and fuel efficiency for the latest generation of petrol engines. As engine oils have reduced in viscosity, over the years this has come with increased concerns over engine protection, however Carlube Triple R 0W-16 ECOflo has been specially formulated with an advanced additive package to ensure complete engine and exhaust system protection.